Happy Friday!! It's about time I do another traditional Friday favs post where I share random things I found this week! Then I'll be counting down the hours to the weekend!! This cleaning hack looks like a fab and easy way to clean the microwave which I have been putting off because it's not too bad, yet. First, there was a box from Urban Outfitters at my doorstep when I got home. What's weird about this is I had already received all of the things I ordered from them. :\ I opened the box once I got inside and it was the exact same shipment I'd received two days before. When I called customer service who were very nice they told me I could try to return it but they'd probably give me a refund or I could just keep it. It didn't look like I was going to be charged twice, so I'm all like what am I supposed to do with this extra stuff?! THEN I headed over to Chipotle where 50% of the proceeds were supposed to go support one of the charities I'm involved in, cool. When I get up to the register the girl says she has been told to comp everybody and they'll figure it out later. What?! So, I walked out of Chipotle with a free burrito bowl. Weirdest day ever. Getting to see my finished tree!! I'm still finding random ornaments I forgot to put on as I pack up the Christmas tubs, but I just keep adding them to it. Hahaha, somebody shared this on Twitter and I saved it to text to a friend because anytime somebody says box she shakes her head. I mean, all words are going to eventually relate to anatomy, apparently? I'm headed to Jax and O-Town this weekend for a Jags game and Universal with S. So excited!! You got so much free stuff..thats so exciting! 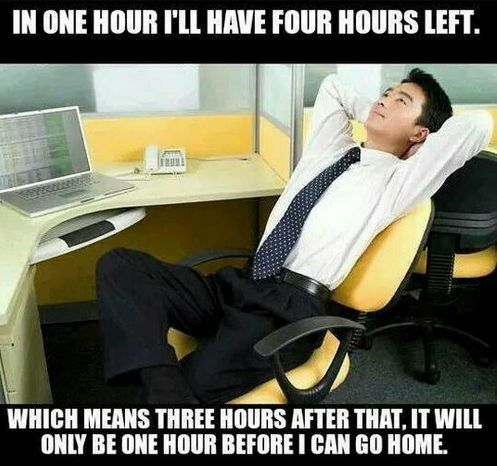 Also, I totally do that hour counting like in the very first picture. Somehow it makes the day seem not so long, haha! I love that you picked a Hillary Duff song...bahaha. This is great! I lit of these made me LOL! Man, I haven't seen Hilary Duff in a long time. Free stuff is the best stuff! I love when there are errors in my favor! Hehe! Oh my, I can't stop laughing at the Lunchbox. What the?? Thanks for the laugh. Ahhh so many free things! How awesome!!! Your tree looks so pretty :) I try to come home and plug mine in every night to make it feel more cheery in my house. Hope you have a great weekend! OH MY GOSH - that Lunch box "salon" ... I almost spit my water on my monitor!!!! Love your tree - all the little Starbucks mugs!!! That's how I clean my microwave. Score on the free stuff! Your tree is adorable, love the believe sign. LunchBOX! Say what?! People are weird! I'm so confused by the lunchbox. SO CONFUSED. Yay for free Chipolte! I don't even know about the donation though? Odd. That first meme- so true! haha! Last year I got two of the same orders from Nordstrom so when I went to just give the other one back the people were so confused & I think a little surprised I wasn't trying to get a refund or something. It's so nice UO basically said you could just keep the stuff! Looove the believe on your tree! And all of the Starbucks ornaments so fun.